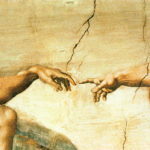 What Aliens Teach Us About God, part 8: Why Should I Care? Do aliens secretly visit Earth or ghosts haunt people? These stories likely have the same cause: dark spiritual forces. 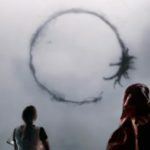 It’s impossible to reasonably mention all the movies that portray aliens visiting Planet Earth–there are just so many of them. But a certain subset of such films portray aliens as if they are visiting us in secret in a particular way that this post will call the UFO alien phenomenon. The Fourth Kind–levitation under hypnosis. “UFO” famously stands for “Unidentified Flying Object,” and one of the key things about UFOs is nobody knows where they come from or what they are doing. Stories that have the aliens conducting meetings with humans (e.g. Arrival) or have them transition from mysterious flying objects into an outright invasion (e.g. Signs or Independence Day) or which portray the general public believing the objects are unidentified, while a secret government organization knows they are in fact already-observed types of alien spacecraft (e.g. Men in Black) don’t really feature UFOs anymore. The flying objects become identified during the story’s plot, at least a little. But some movies keep the UFOs thoroughly unidentified. And if they feature encounters with aliens, the aliens also remain largely unexplained. In fact, these sorts of movies dramatically portray the sorts of situations that human beings who claim to see UFOs and who claim to be abducted by aliens say happens to them. 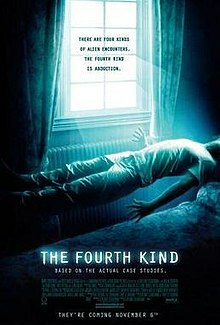 This article will use 2009’s The Fourth Kind as the only example of this type of movie, even though its just is one out of many (and there have also been TV series on this same topic, most notably The X Files). 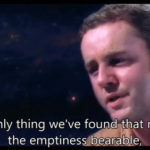 The Fourth Kind internally claims to be a documentary that switches back between “dramatized” scenes where actors portray events and the actual video recordings of “real people” who have had contact with unidentified aliens. Both portrayals are in fact equally fictional, but within the confines of the film, the story is about people having troubling dreams about a number of things, including disturbing owl faces. 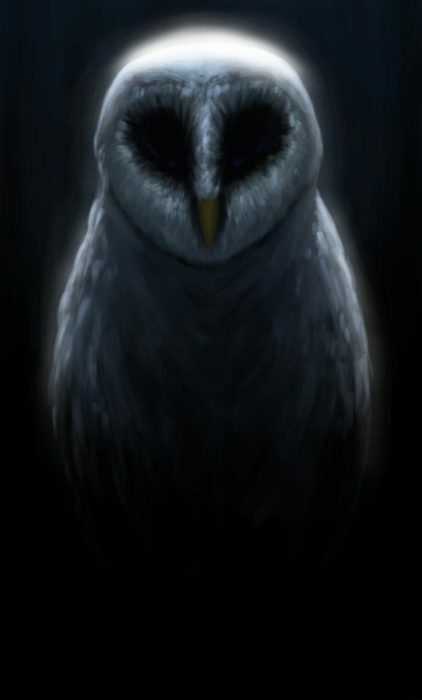 An “owl” from The Fourth Kind–a suppressed memory of aliens. The disturbed people seek the help of a psychologist who uses hypnotism to explore the actual events that inspired their dreams (the sessions with the hypnotist are captured by “real” video footage). And–you guessed it–the actual events that inspired the strange dreams were encounters with unidentified aliens and/or alien abductions, acted out in the “dramatized” scenes (note the owl faces people reported seeing were supposedly altered memories of “real”alien faces). Again, this movie is 100% fiction and everyone who produced it admits it. However, the way the movie portrays the UFO alien phenomenon is based on the types of reports people actually make about having encounters with aliens, aliens that supposedly arrive on Planet Earth via UFOs. And these encounters–both within The Fourth Kind and the reports real people no-kidding claim are based on actual events–are generally really weird. The so-called “aliens” tend to pick particular people they visit over and over again. The events that transpire with the aliens seem mostly incomprehensible. People are probed and observed and nobody really knows why the aliens are doing what they are doing. Strange lights are seen and objects move for odd reasons and people even mysteriously levitate under hypnosis (in The Fourth Kind) as they recall their ordeals. People scream at the top of their lungs when they see the aliens or remember them or are utterly paralyzed by fear. This sort of behavior is nothing like the kinds of aliens who invade us in science fiction–who may terrify us with their weapons or appearance but in the end are pretty much like other bad guys–only from “outer space.” Nor is it like the aliens from Arrival, who yes, are weird (truly alien in a meaningful way), but with whom you can have a conversation once you know how. In contrast, how could you have a conversation with aliens whose physical presence is so disturbing that everyone who sees them is either screaming or frozen in place in terror? In fact, some aspects of the UFO alien phenomenon parallel stories of hauntings and ghost visitations. Strange, inexplicable movement of objects and lights (or shadows), terrifying apparitions that may require hypnosis to fully remember, visitations that oddly focus on specific people or specific sites–these are all common both to reports of ghost manifestations and also to alien abductions. As a Christian who believes in a supernatural world, it seems rather obvious to me to suggest that aliens thought of as secretly visiting Planet Earth and accounts of ghosts haunting people and places have the same basic cause–dark spiritual forces. Though if you don’t have to take my word for it–the astronomer Carl Sagan, who was an atheist, in his 1995 book The Demon-Haunted World stated he believed that the UFO alien phenomenon had the same cause as people seeing fairies or demons or gods in past times. He attributed this to a flaw in human psychology rather than actual spirits, but if he could notice the similarities in ghost stories and UFO accounts while not even believing spirits exist, I think people who actually believe in the supernatural ought to pay attention. Even if we suppose that Sagan may have been at least at times correct that flawed psychology in the form of over-active imagination is behind at least some of the UFO alien phenomenon, these reports of meeting aliens from UFOs are quite different from what we would expect to happen if we ever really met aliens. As they are currently reported, UFO encounters seem to have more to do with how humans tick and how we relate to the supernatural than they have to do with actual aliens. OK, even so, is there anything in common between meeting the types of aliens reported in UFO encounters and Biblical accounts of human beings encountering a manifestation of Jehovah? Um, actually, yes. At least a little. Moses may have been merely curious when he first saw the burning bush, but many encounters of a follower of God with the Creator seem to inspire terror. Isaiah 6:5 records the prophet saying, ““Woe is me, for I am undone! Because I am a man of unclean lips, And I dwell in the midst of a people of unclean lips; For my eyes have seen the King, The Lord of hosts.” Though Isaiah’s fear is based on his awareness of his sinfulness rather than irrational terror, there is no doubt that a person facing a manifestation of God does not engage the Almighty in casual conversation. The presence of God, while arguably gentler in general than the presence of UFO aliens, is pretty overwhelming to human beings. In fact, people meeting angels in service to God likewise are often (but not always) overwhelmed. Which is why many times the first thing an angel says to a human being is, “Fear not.” There’s a reason that happens–fear really is the first reaction to an angelic visitation, at least most of the time. We human beings are clearly not equals even to the created angels. They, somewhat like UFO “aliens,” tend to inspire tremendous fear in human beings–as does the infinite Creator God. Another commonality is that in parallel to how UFO aliens do incomprehensibly strange things to humans (often humiliating things, quite different from meeting angels), some of the things God does or asks people to do does not seem to make sense. God clearly takes people by surprise, often saying things other than what they were expecting to hear. Yet, arguably, God’s actions are generally more understandable and reasonable than the actions of UFO aliens. Of course, if these aliens actually are manifestations of the supernatural (i.e. demonic entities), it comes as no great surprise that at least a few things about them would be similar to the actions of the supernatural God of the Bible. In that case, both would be supernatural spiritual entities. It makes sense that at least a few things about God and this kind of “alien” would be alike. Even if the presence of these “UFO phenomenon” aliens is generally terrifying and their actions, generally sinister. Next week’s post will discuss how the desire some people feel to have close relationships with aliens actually functions as a substitute for a relationship with God. But for now, what do you think of this topic? What do you think about UFOs? Alien abductions? Do you agree that these aliens are probably demonic manifestations? Would you agree that some of the reactions to these so-called “aliens” have at least a little in common with how people have reacted to the God of the Bible? I can’t remember right off hand which creation ministry is doing a documentary on this very subject — Hovind’s group I think — but they also show how these ‘encounters’ with the alien visitors are often frightening, terrifying, and downright humiliating. The people who have had these phenomenon start bawling and crying — these aren’t our friendly, communicative tentacle aliens from Arrival asking for help in a few thousand years. Although I do not agree with ALL of Heisner’s(?) book “The Unseen Realm”, there is the distinct impression of the spiritual realm that constantly interacts with our world. The Lord protects us from the unseen battles going on that we cannot see. I believe if we were to see it, we’d be more than shocked at what we find out. 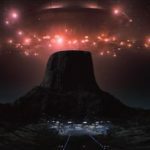 Another tidbit I heard some years ago, again from a book (I can’t remember the name right now) where the author states, until the movie, “Close Encounters of the Third Kind” came out, alien claims were not as numerous as they are now. If you look at the sci-fi of the Twilight Zone, From Beyond, and Outer Limits, these aliens resembled humans for the most part. Even if you look at the older sci-fi books, the aliens that were truly alien were more animalistic (reptilian, bird-like creatures, globs, etc.) than completely bizarre. A paranormal research by the name of Doug Woodward (doomsdaydoug.com for those interested) has written several books on the subject. He postulates that these are spiritual beings (fallen angels). If we take Heisner’s thought of the spiritual realm and beings “made from spiritual substance of God.” (that’s MY paraphrase, not his), and biblical accounts as you mentioned above, there’s a lot of stuff going on right here on Earth where we don’t need aliens from another planet coming to say hello. I kind of rambled again but there’s so much to this topic. No, not Hovind. Creation Ministries International. They just came out with a documentary movie, based on the book by Gary Bates. It’s called “Alien Intrusion”. I highly recommend the book as a biblical approach to the alien phenomenon. Thank you for the correction. I know it was one of them. Parker, yet again I appreciate your insights. I’m actually with Carl Sagan on this one. People who believe in weird/nonsensical stuff like detailed alien abductions generally also believe in a lot of other weird/nonsensical conspiracy theories. Carl Sagan would have put all connections to the supernatural in the same category as seeing UFOs, including people saying they have seen or talked with God. While I do not think Sagan was totally wrong, I do think he was missing an important fact about the spiritual world–it is not imaginary. But you are right that people who believe in alien abduction stories tend to believe in other conspiracy theories. It is also true from what I have read that a connection between dabbling in the occult and reporting “being abducted” also exists. So again, while I think some of this sort of thing may be in people’s heads, I’m reluctant to say it all is. Another winner, Travis. There are more than a few parallels between encounters with demons and the occult and some aspects of alien abductions and UFOlogy, so you’re right, it ought to give a Bible-believing Christian pause. And yes, some of the reactions to God in scripture do remind one of some of the reactions of people with alleged aliens. I’m looking forward to seeing your next one in this series, because you’ve nailed it. Frankly, I grew tired of folks who haven’t studied the history of exotheology and ufology writing these sorts of posts. The Demonic Hypothesis of UFO (and more specifically the Demonic Eschatological Hypothesis) have been around since the church first reacted to Truman Bethurum’s contactee tale and his invitation to sample the other contactee tales at George Van Tassel’s first Giant Rock Spacecraft Convention. It experienced a resurgence during the Satanic Panic in the 70s and early 80s, and most recently from those associated with the CE4 Research Group and the First Christian Symposiumon Aliens. Gary Bates, CEO of Creation Ministries International and director/producer/writer/star of the Alien Intrusion documentary based on his book of the same name, is a part of that group. They categorically ignore the fact that the Psychosocial Hypothesis of UFO likewise accounts for the UFO phenomenon from a Biblical perspective, that contactee/abductee messages are hostile to Christianity because most of contactees come from a Theosophical background (in other words, they fail to consider the idea that those messages are of wholly human origin) and most of the abductees are familiar enough with scifi to know the standard abductee narrative (messages included), and omit the fact that willpower and resistance are just as effective in stopping so-called alien abductions which makes them more likely to be the sort of visions that accompany sleep paralysis).